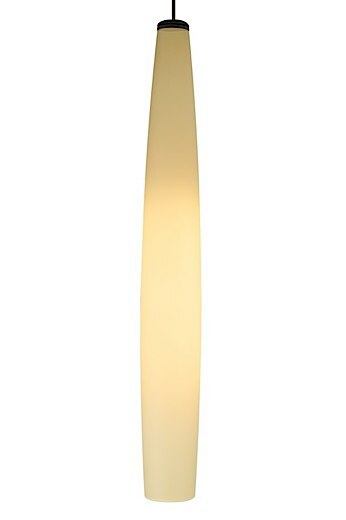 Slender case glass shade topped with metal detail in this line voltage pendant. Black, satin nickel, and white finish options highlighted with a satin nickel detail and clear cable; antique bronze finish includes antique bronze detail and brown cable. Includes 2G11 base 36 watt twin tube compact fluorescent lamp (electronic ballast included). Fixture provided with twelve feet of field-cuttable cable. This product can mount to either a 4" square electrical box with round plaster ring or an octagon electrical box. Shown in antique bronze finish.